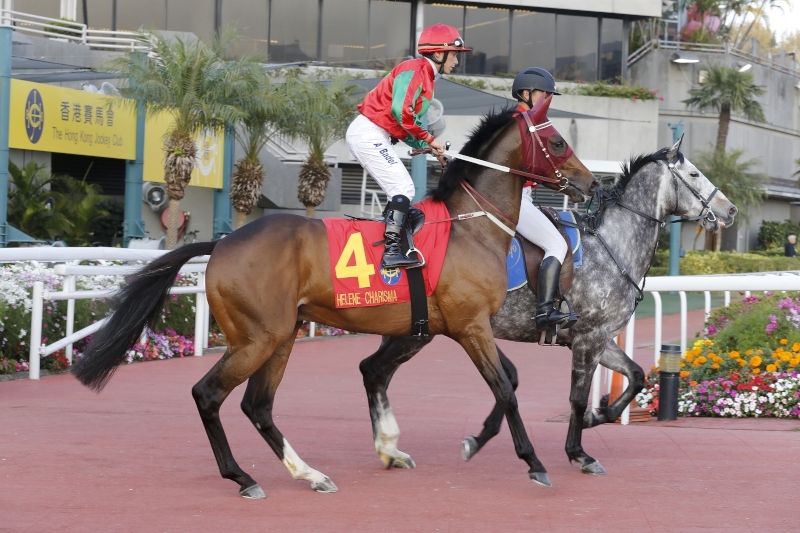 Rapper Dragon emphasised his standing as the best four-year-old in Hong Kong with a dominant victory in the Hong Kong Classic Mile at Sha Tin this afternoon, Sunday, 22 January. 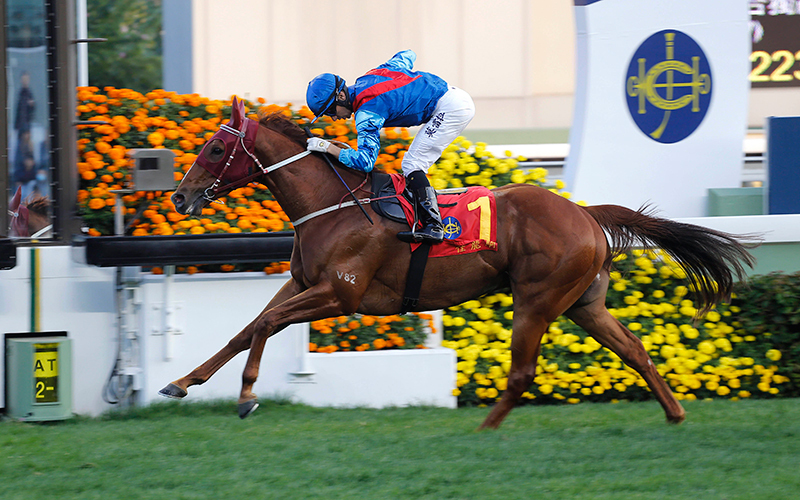 Joao Moreira celebrates as he crosses the line on John Moore-trained Rapper Dragon to win the Hong Kong Classic Mile (1600m), the first leg of the Four-Year-Old Classic Series. “He seems like something special,” was jockey Joao Moreira’s verdict after the Street Boss gelding had put daylight on his peers. 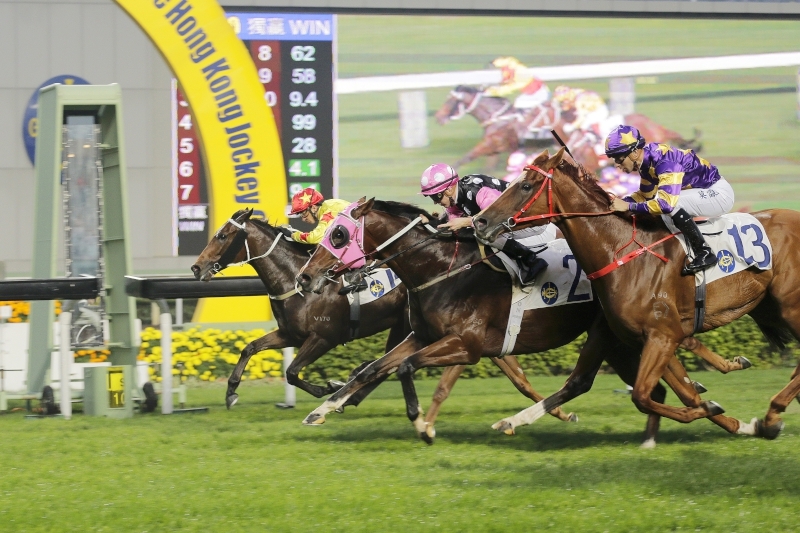 And after bagging the first leg of Hong Kong’s three-race Four-Year-Old Classic Series, Rapper Dragon will head to next month’s Hong Kong Classic Cup (1800m) before attempting to stretch his stamina to a mile and a quarter in the BMW Hong Kong Derby in mid-March. “The way he won today, you wouldn't doubt that he would step up to 1800m and perform at his top level, and I also believe he will make it over 2000 metres,” Moreira said. 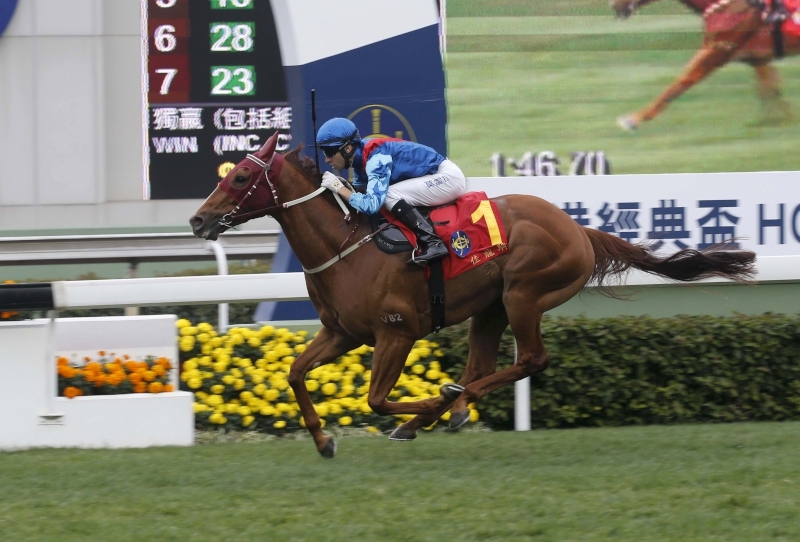 Rapper Dragon, 14 points clear of the field on official ratings and returned the 2.1 favourite, enjoyed a smooth passage in the 1600m showpiece. Moreira settled the powerful son of Street Boss fifth/sixth, one berth off the rail, as Circuit Hassler set the tempo. When Moreira asked his mount to quicken into contention with 350m remaining, the response was impressive. The Australian import extended his stride and raked to the lead inside the 300-metre point. Stable mate Beauty Generation attempted to match that surge but flattened out inside the final furlong as Seasons Bloom rattled late to snare second under Nash Rawiller. The winning time was 1m 34.98s with Rapper Dragon’s final 400m clocked at a race-fastest 22.03s. 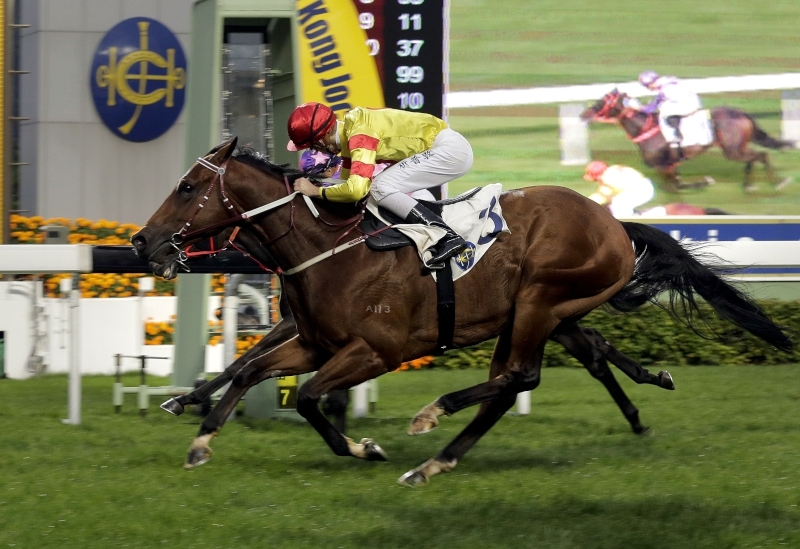 “This is a great horse for the stable and a great win for Hong Kong,” trainer John Moore said. 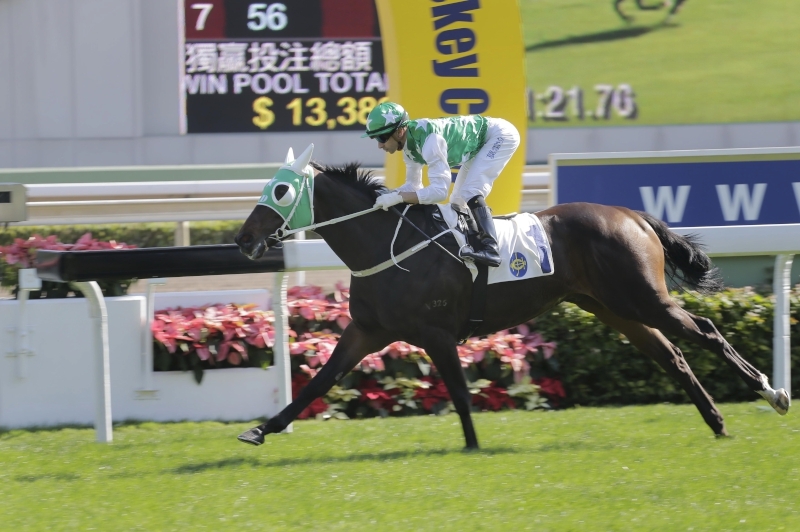 “The way he ran today you'd have to say he’s 100 percent fit so the idea now is to keep him at this level for the next two races, culminating in the Hong Kong Derby. 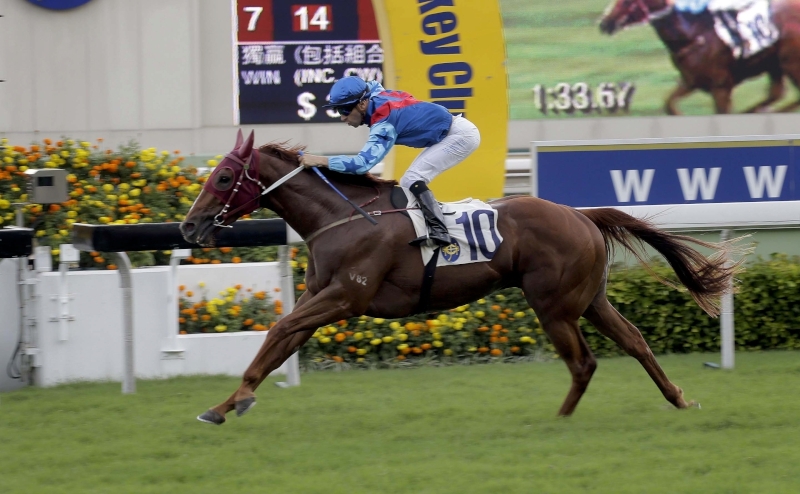 Rapper Dragon’s win was a fourth in the race for Moore (2014 Able Friend, 2006 Sunny Sing, 2004 Tiber). Moore reported that jockey Zac Purton has suggested a gear change for Beauty Generation after the Road To Rock gelding was mugged late for second. Rawiller was delighted with the run of Seasons Bloom after nicking second by a head. 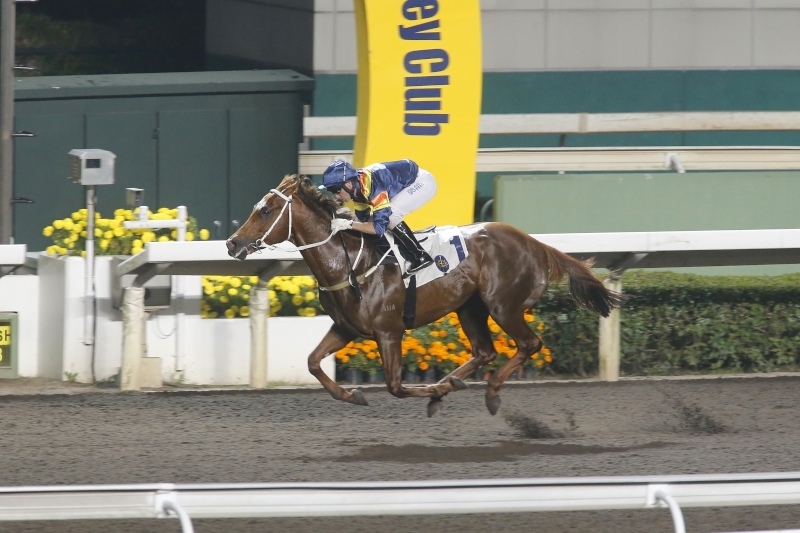 Danny Shum’s lightly-raced charge stormed home in 22.05s. The Tony Cruz-trained Winner’s Way used plenty of energy in racing a close second but still boxed on for fourth, three and a half lengths behind the winner. Cruz’s spotlight horse, Pakistan Star, was bustled forward at the gate to take a handier position than had been the case in the past but was trapped three wide without cover. 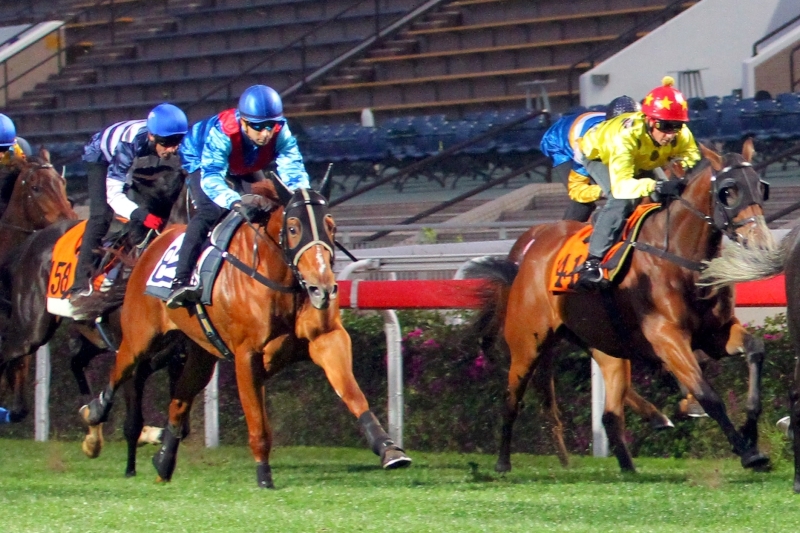 The Shamardal gelding kept on to finish a solid fifth. “He’s still not doing everything right but he’s not up to them at this stage,” jockey Silvestre de Sousa said. Meanwhile, Tommy Berry was delighted with Eagle Way, another of Moore’s seven contenders in today’s field. 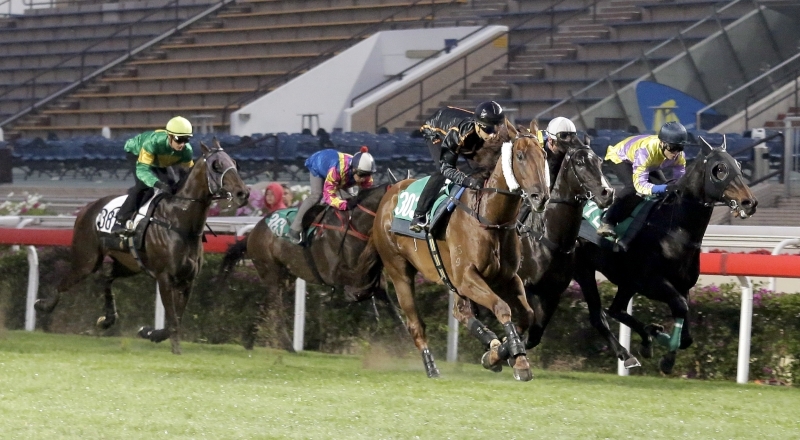 The G1 Queensland Derby (2400m) winner ran a fine race with the Hong Kong Derby in mind, closing off through the final 400m in 22.28s to finish three and three quarter lengths sixth. 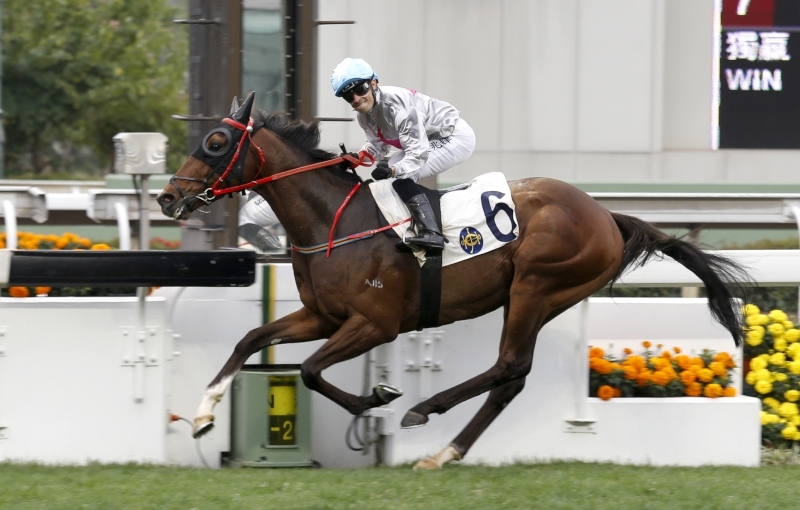 And Alexis Badel, who rode a double on the day to take his Hong Kong tally to four, had a positive report for another of Moore’s Hong Kong Derby hopefuls, the French G1 winner Helene Charisma. 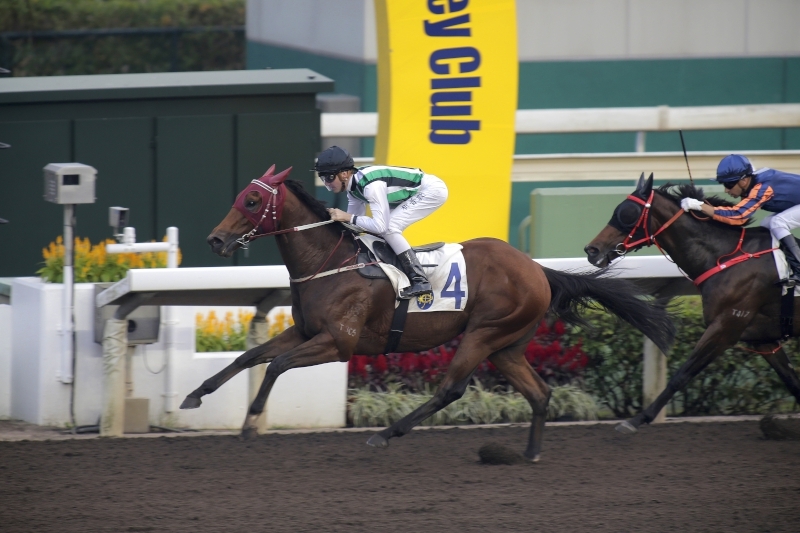 The Hong Kong debutant clocked the race’s third fastest closing split (22.11s) in finishing ninth of 14. The undercard could have held another clue to this year’s Derby. 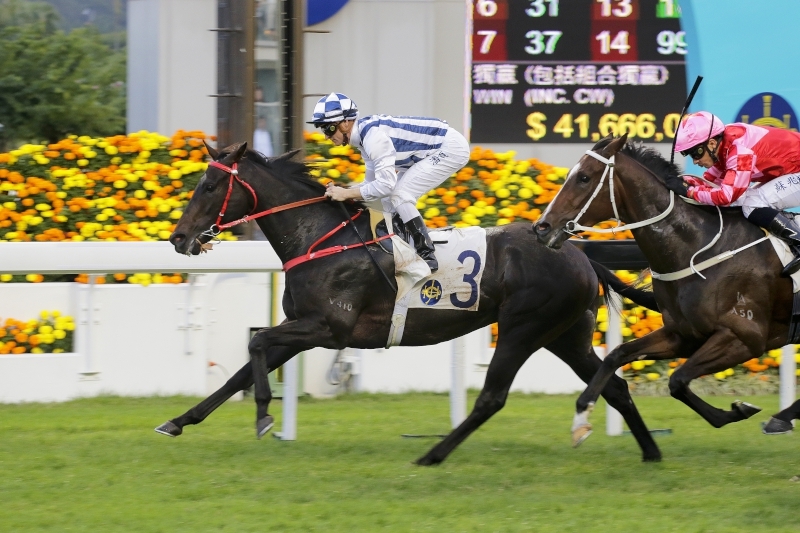 Dinozzo (116lb) worked a step closer to a possible berth in the BMW-backed event with a good win in the Class 2 Po Yan Handicap (1800m). The Size-trained four-year-old was forced to travel three deep without cover for much of the race. And despite racing close-up in a contest run at a sharp tempo, the Lilbourne Lad gelding was able to forge on in the straight for a grinding length and a quarter success in 1m 47.11s. 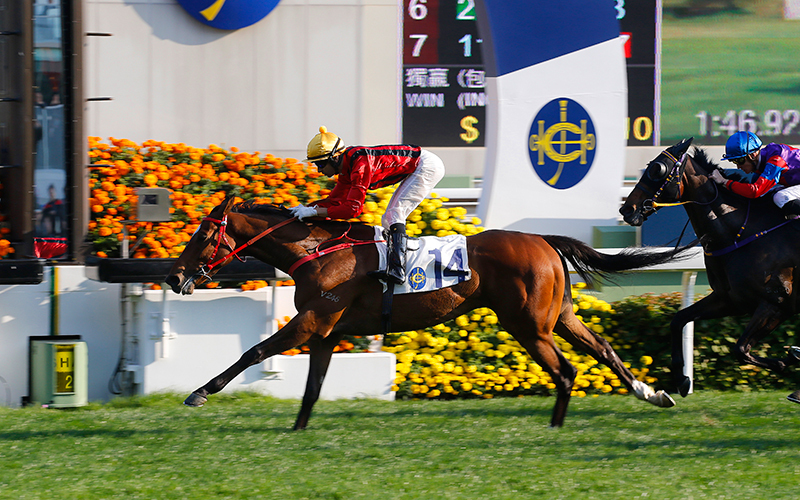 Joao Moreira unveils another potential BMW Hong Kong Derby aspirant as Dinozzo (number 14) wins the Class 2 Po Yan Handicap (1800m). 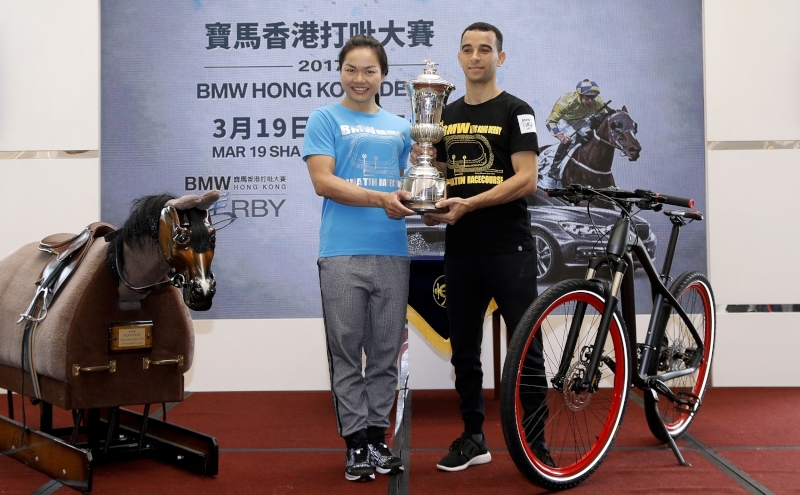 “He’s definitely a horse for the Derby if that's the way John wants to go,” Moreira said after riding the chestnut to the season’s second-fastest time over 1800m at Sha Tin – the 12th fastest in the last 10 years. 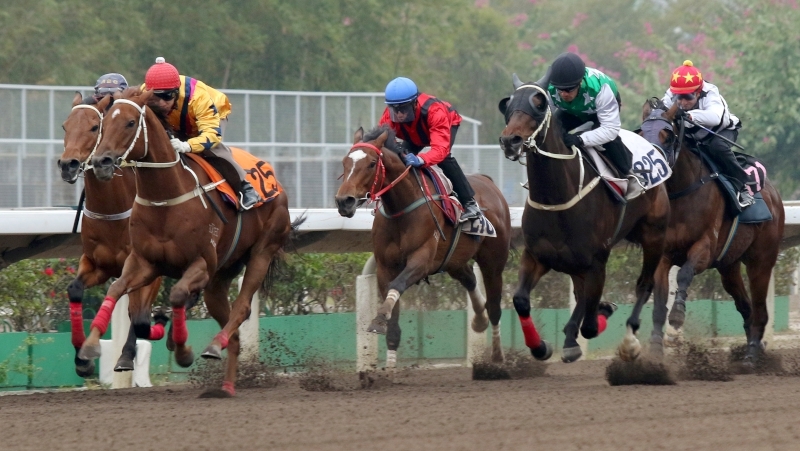 Dinozzo has notched two wins and three places from five Hong Kong starts. The import won his sole start in Ireland, a 1600m Navan maiden in October, 2015, when under the watch of Ger Lyons. 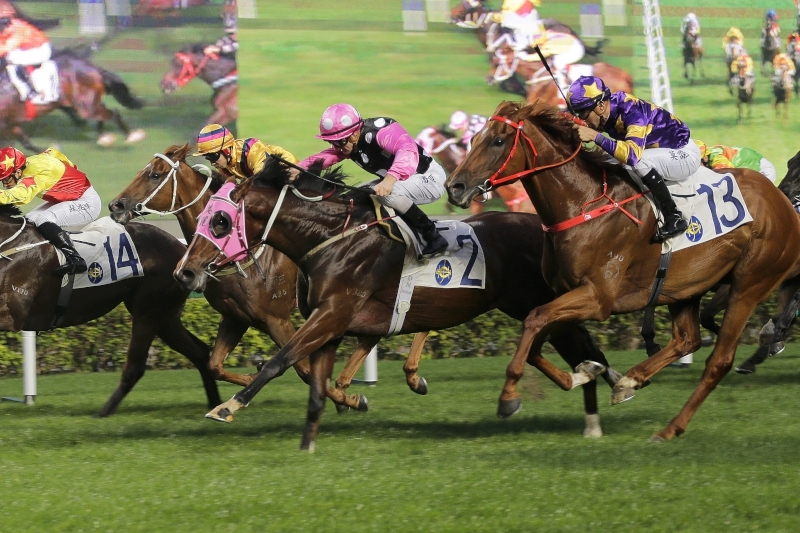 Hong Kong racing continues at Happy Valley on Wednesday night (25 January). The nine-race card starts at 6.45pm.